Every year there is a consumer electronics show that takes place in Las Vegas. Any kind of gadget or breaking technology is there showcased for the whole world to see. Now CINEMOOD was named one of the 14 coolest gadgets at that entire show and that is pretty big news for anyone who follows that show in January every year. The big question from attendees was could ‘edutainment’ and technology upgrade storytelling and our imagination? 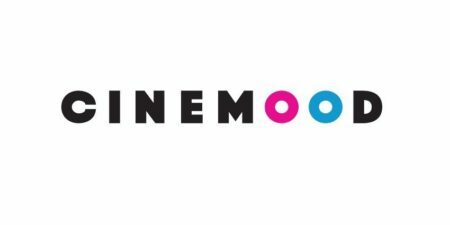 CINEMOOD also made a name for itself by reaching 123 percent of its Indigogo goal with 17 days left which again is a phenomenal achievement. Designed by parents who wanted to give their kids an alternative that allows kids to interact with technology without just staring down at a screen it’s basically a mini portable projector that comes with swappable smart covers that let you turn any wall or ceiling in your house into a personal theater. It’s not just films or TV shows either. It also allows parents to put educational, pre-selected cartoons or digital books on the ceiling which is also handy for getting children to sleep at night especially when they have been over stimulated during the day. But I do suspect there are quite a few parents who have their eyes on this for themselves as well. Joining us on the show tonight is Mike Bukhovtsev from CINEMOOD. As we record this you have reached 156 percent of your 75,000 goal which I think takes it to 117,000 raised already so things have got to be pretty real right now right? They are. Our main goal for the campaign was to test our concept on the global market. It’s been a great journey so far. For anyone who has not heard of CINEMOOD can you explain what it is and why it’s so cool? CINEMOOD is the first handheld, carefully designed, cloud connected projector designed for families. We have carefully picked hardware and clean and simple user interface. We want to offer a really great experience while using our projector. Where did the inspiration for CINEMOOD come from? Our own childhood is what inspired us to build CINEMOOD. The most precious moments of childhood bedtime rituals with parents is transformed into seeing the ceiling transformed into your own personal cinema. Can you add your own additional content or buy to play any other content on the CINEMOOD device? Sure you can. Along with the projector itself, we’ve designed it to protect the device itself and unlock new content as well. Do you think there will be a few parents buying one to satisfy their own childlike curiosity as well? Definitely! They can also use the device with the content built into a USB drive. I recently read that CINEMOOD embraces “edutainment”. Can you explain a little bit about that concept for any listeners who have not heard of that before? Edutainment stands for education as entertainment. While we’re talking about the education part it is human nature to tell stories from legends to fairy tales. If you can imagine the 30 minutes before bedtime with the kids that is a perfect moment to reach out to the young person and tell them things that are valuable and full of life and give them a good concept of what is right and wrong. What is the price and what countries do you ship to for anyone that’s excited about getting their hands on one of these? Our first offer on Indigogo was $199 dollars but those are sold out. They are on the platform for $259 for the storyteller itself and $289 for a version with a smart cover. In the near future, our focus is the English speaking world, mostly United States, Canada and the United Kingdom. Are there any big goals you are going after at the moment? I have exciting news to share. Last week we got first production samples from a factory. We’re looking forward to integrating several products in the following months. And we want to build a perfect device for nighttime movies. What advice can you offer someone just starting out and armed with an idea? Crowdfunding is a great way to test your ideas in the real world. Start preparation at least half a year before the launch. It’s always a good idea to read a lot on the topic so you don’t make technical mistakes. Where can listeners find out more information or order a CINEMOOD? You can find us on www.cinemood.com. Take a look at our Indigogo campaign story and subscribe to our channel on Facebook and Instagram.